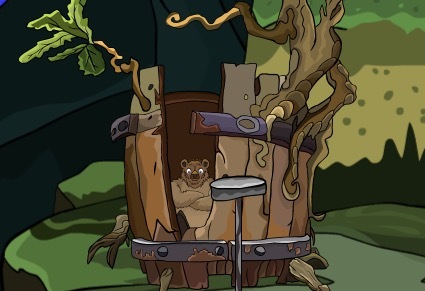 G2J Honey Collector Rescue is another point & click escape game developed by Games2Jolly. We know that you are a great fan of escape games, but that doesn’t mean you should not like puzzles. Therefore we present you this puzzle escape game, a cocktail with an essence of both: puzzles and escape tricks. Good luck and have fun! M cluepaper for 5-digit puzzle, not for slider. How about the slider, can't get it right. Got it, it's 5 3 2 4 6 from top I think. For the slider, think upside down. I'm stuck with a ball and lit candle. Ah, didn't notice there were 2 ways to enter the cave left of the snowman. Any idea where the candle goes? POP, realized arrow at cave entrance wasn't to get into cave. For the sliders, it's not the position, but the lenght of the bones one must look at.